Action survival Dying Light is coming out today but the hype seems to be long-gone. Surprisingly, and despite all the won awards, there doesn’t seem to be much attention focused on this zombie apocalypse title from Warner Bros. Fortunately, that doesn’t mean the game is pure garbage or not good enough to receive mainstream coverage. If you’re wondering whether or not you should play this game, then here are five of the most exciting features coming out today. Dying Light presents three main ways to progress and survive. In this post-apocalyptic open world, players can choose between strength, agility and stealth play styles, each one with its own pros and cons. Brave players will most likely prefer brute force through challenging encounters, while sneaky players might find hide and seek the best way to outcome danger. But there’s a third alternative involving agility and parkour moves, such as climbing, jumping and sliding over all types of environmental objects. Moreover, players can decide which weapons to use and which ones favor their play style the most. Finding that special and unique weapon might not be so easy in a world gone mad. But that won’t be much of a problem, at least not for too long. If you collect and combine certain materials, you can create your own desirable weapons. Dying Light focus on melee combat, which means most of the weapon recipes are close ranged. There’s also a small amount of customization that will allow players to attach special effects to their creations, such as fire and electric buffs, as well as other damage-based gadgets. 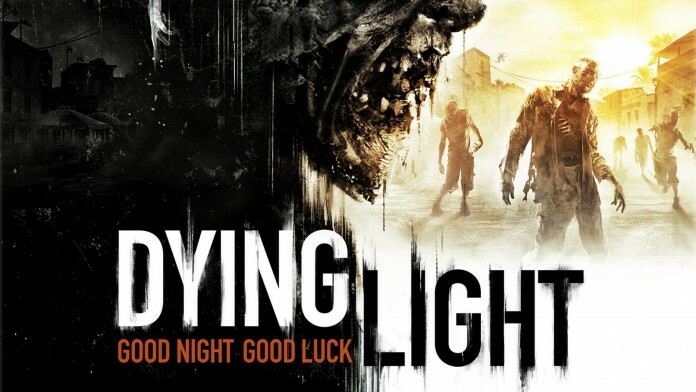 Warner Bros and Techland have been keeping Dying Light’s story in the dark. But that doesn’t mean there is no story. Each released trailer has been containing story fragments suggesting exactly what producer Tymon Smektala stated about the game: “Dying Light is not a zombie game.” It’s well known that Dying Light is action-based but there seems to be a rich and intriguing narrative resting in the shadows. Could it simply be a marketing strategy to keep the suspense alive? Or is it, perhaps, a flawless attempt to mask the obvious? One thing is for sure, this game will count with a strong storyline, where zombies can possibly be cured. One of the most exciting aspects of Dying Light is the multiplayer versatility system. Besides the co-op mode of four players, the game will also feature an asymmetric mode where human players can control ruthless enemies and invade other players’ games. Sounds like a thrilling feature that can either shape or ruin your fun. Remember, when the night falls, nothing will be the same. Good night and good luck. Techland’s ambition with Dying Light has always confined freedom of movement. The ideal scenario would be the conception of all necessary conditions to allow players to go wherever they wished through whatever chosen ways. It sounded perfect in theory but in order to keep this innovative promise the company was forced to delay the release date. Despite this, the objectives were achieved and Dying Light presents an extensive open world with an incredible movement system where the only boundary is the sky.